In today’s mobile-device driven, social networking Internet active world, finding quality time with your family is a full-time job! Now, you and your children can develop positive values, improve fitness, gain respect, confidence and mutual understanding in Choe’s Quality Martial Arts Taekwondo Family Program. While you can’t play Little League, Soccer, Pee Wee Football or many competitive sports with your kids, you can find quality time together with Choe’s Quality Martial Arts Taekwondo. A fun and challenging way to spend time together as a family while developing positive values, health, fitness and family bonds that will last a lifetime. The most important investment in your life is to create the conditions that give your children the opportunity to find better, more successful futures! 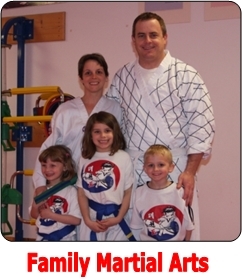 Keeping this in mind, we offer Taekwondo classes for the whole family. Register your entire family and take part in training together. Add Taekwondo to the list of fun things to do with your family. That’s what Choe’s Quality Martial Arts Taekwondo Family Program is all about.